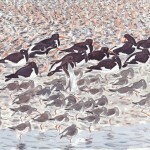 Andy Brown is a professional ornithologist who has been birding in Norfolk since the mid 1980s. 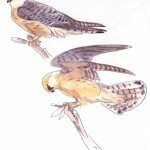 He has published numerous scientific papers and co – authored Birds in England in 2005. James McCallum was born in Norfolk and continues to live there. 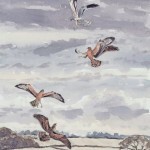 He is a graduate of the Royal College of Art and earns his living painting and writing about nature. 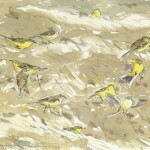 He works almost exclusively in the field and has already published seven books of his paintings and observations. 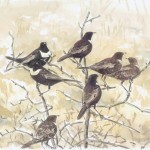 Birds in Norfolk is a celebration of Norfolk’s birdlife. 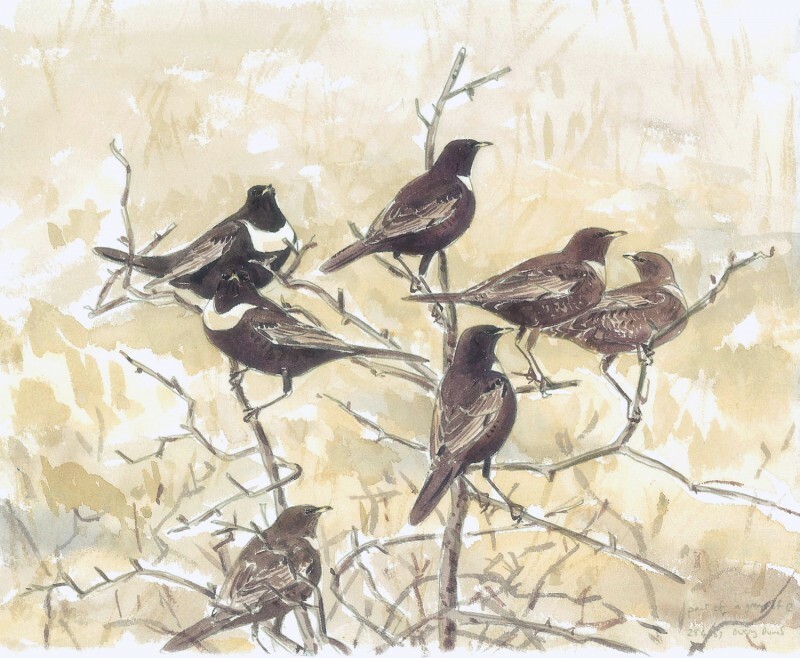 It is written by Andy Brown and includes 115 watercolour paintings and numerous watercolour sketches by James McCallum, all done in the field. Norfolk is famed as the best county in Britain for year round birdwatching and has a long history of bird recording. 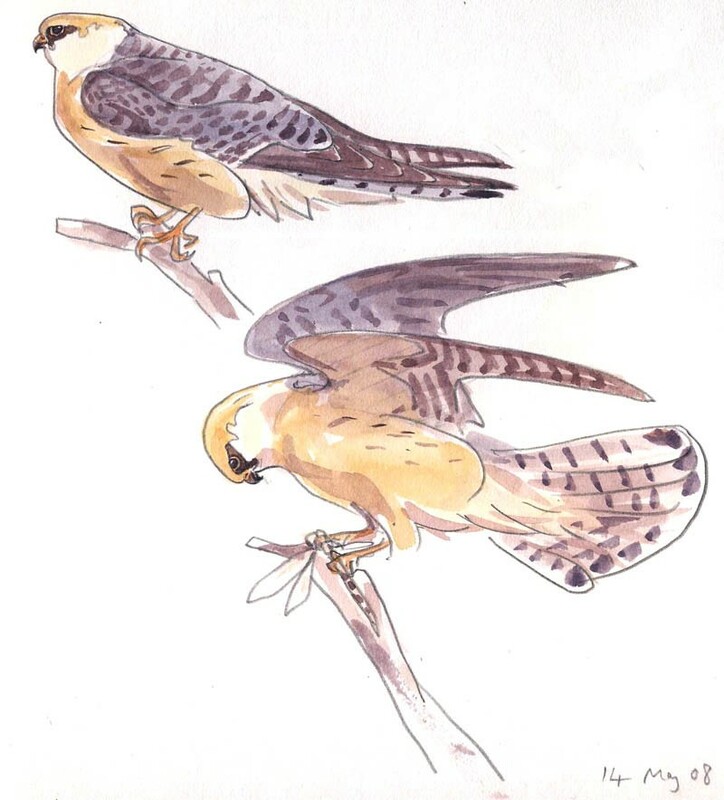 Birds in Norfolk is more than a county avifauna – instead the importance of the area, past and present, is seen from both a national and international perspective. Some of the county’s most famous habitats, such as the North Norfolk Marshes, Breckland and Broadland are looked at in detail. There are chapters devoted to the county’s specialist species such as breeding waders, harriers, wintering waterfowl, waders and passerines. 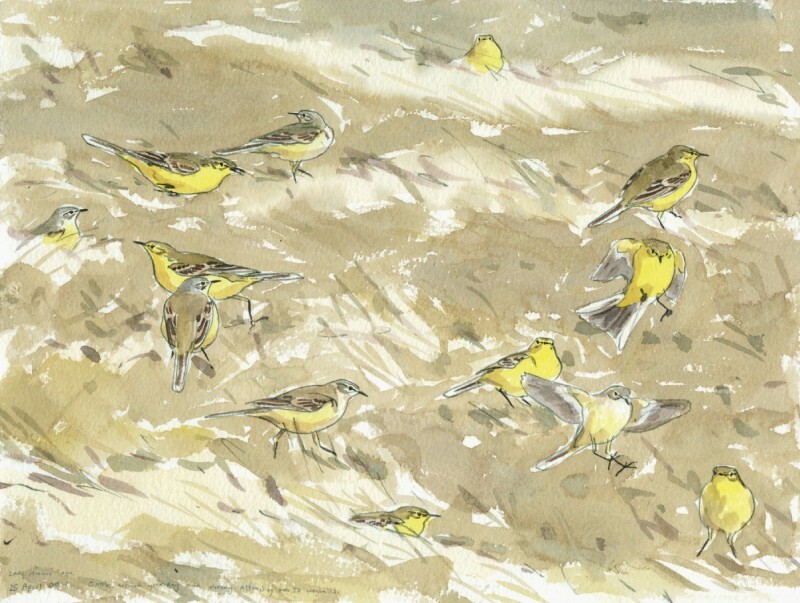 The list of bird species recorded in Norfolk is enviable and some of the rare visitors and spectacular ‘falls’ of common migrant birds also feature. 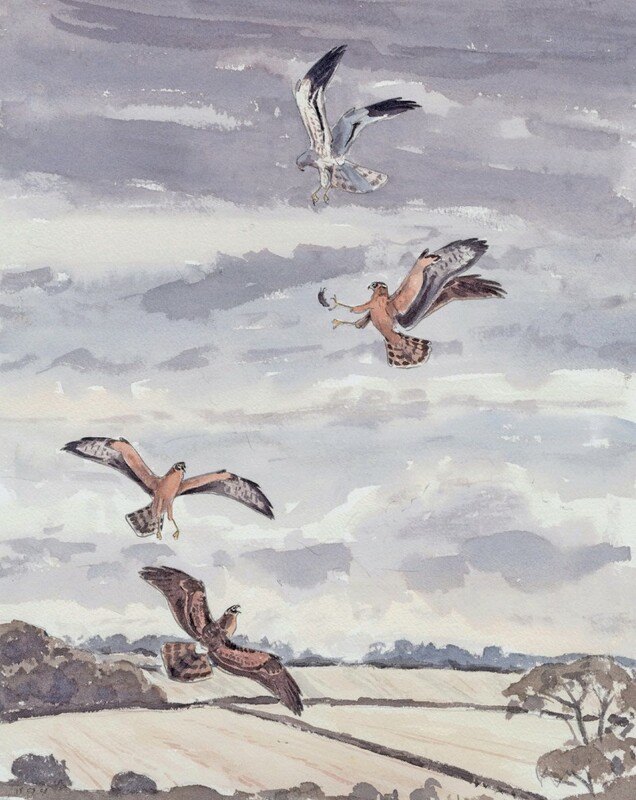 James McCallum’s watercolours compliment the text and are not simply commissioned illustrations but outdoor paintings and sketches completed on location in Norfolk. Concise picture captions have been written by the artist detailing date, location, weather and relevant behaviour. These add further authenticity to the pages and give the book an extra personal dimension. “..an impressive book. It looks at Norfolk’s birds in a slightly different way from a typical county avifauna, but you will find an abundance of facts and figures in its pages. 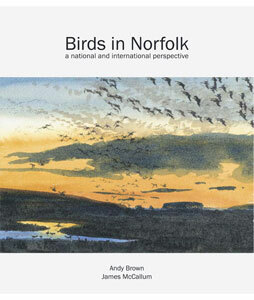 The dozen chapters include an introduction, setting Norfolk’s birds in the international scene. Also covered are wintering and passage waterbirds, breeding and wintering seabirds, birdlife in Norfolk reedbeds, harrier country and winter specialities. Each section gives a historical and contemporary summary of the birds or groups of birds that make Norfolk special, or specially important. Extensive references to historical sources are particularly interesting, although the accounts benefit from up-to-date analysis of national monitoring programmes. 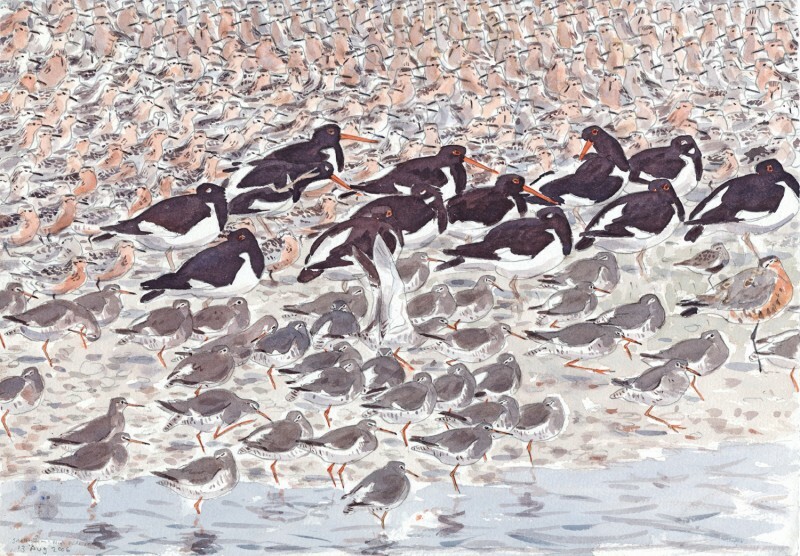 Andy Brown, a professional ornithologist who knows Norfolk inside out, is ideally placed to write such a book, while James McCallum, justifiably a favourite artist of many, is perfect for illustrating it. They have created a beautiful, as well as informative volume.